TEAM Avon have qualified for the National Finals of the Youth Development League Upper Age Under 20/17 competition. Team Avon, which is drawn from Bristol & West AC, Mendip, North Somerset AC, Team Bath AC and Yate & District AC, finished second in the fourth and final match at a wet and blustery Newport Stadium to secure their place in the final fixture in Bedford on Sunday September 9th. “Well done to all of you for working so hard today for Team Avon,” said Sandra Woodman on behalf of the team management. 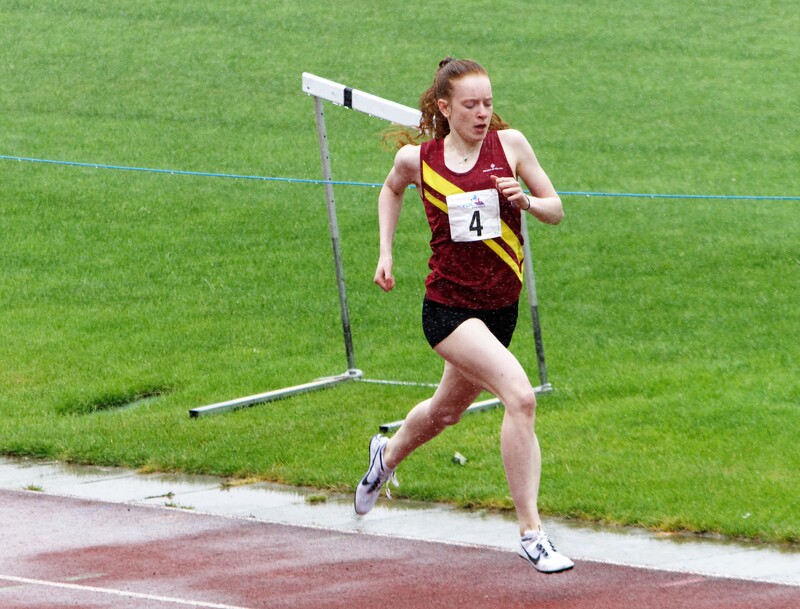 Bristol & West AC athlete Tia Jackson was a double winner in the under 20 women’s 100m and 200m events while clubmate Claudia Spice won the under 17 women’s 1500m with Yate & District athlete Rhiannon Paton completing the double by winning the B event. 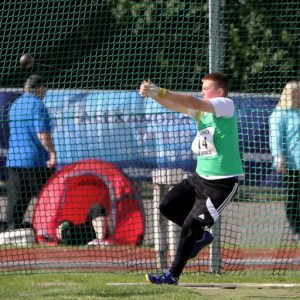 In the field Yate thrower Toby Conibear won the hammer and was also runner-up in the B discus while Mendip’s Jacob Dibble finished runner-up in the javelin. 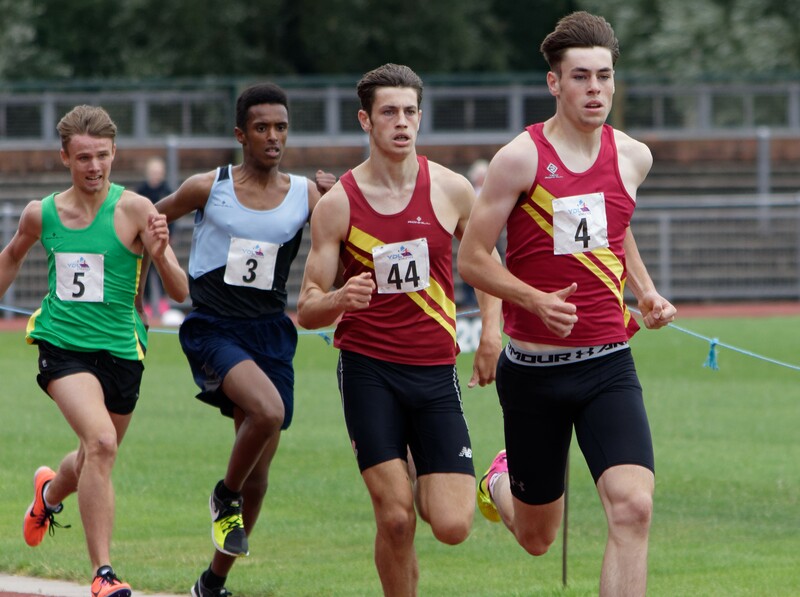 Team Bath AC’s Robert Howorth certainly played his part in the Team Avon success as he delivered maximum points in the under 20 men’s individual 800m and 1500m before adding a third win in the 4x400m relay. The individual races were hard-won victories for Howorth as he dipped on the line to edge out Team Devon & Cornwall’s Lewis Cotterill by two one-hundredths of a second to win the 800m having already beaten the same rival in the 1500m by a bigger margin of 0.85secs. For good measure younger brother Rory Howorth stepped up an age group to win the 1500m B race and split the A pair with a time of 4:25.55 and then added vital points with third place in the under 17 men’s high jump and fourth in the shot. 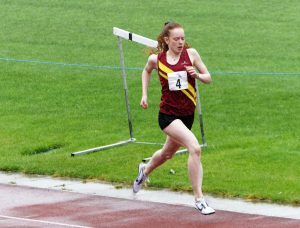 Rory was also in the 4x400m squad along with fellow Team Bath athlete Femi Akinbobola that beat a strong Birchfield Harriers quartet. 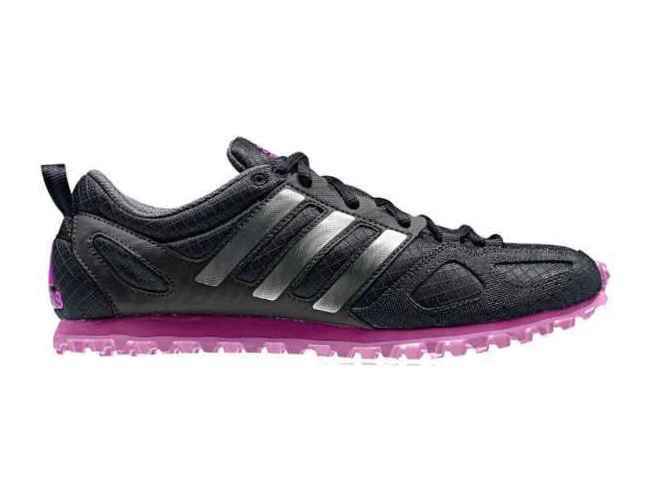 British junior international Anna Burt is enjoying some fun races after a challenging year and duly served up an excellent win in the 800m while Caitlin Wosika won the 1500m steeplechase, though had to concede overall victory to clubmate Enya Maylor who won the under 17 women’s age group. 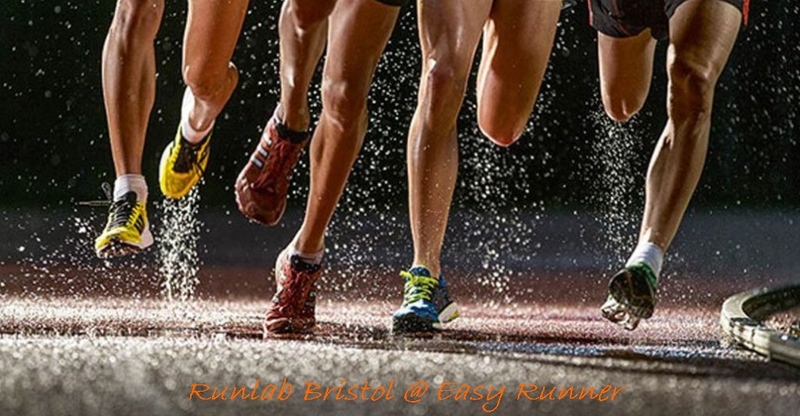 Overall team results – Upper Midland Regional Final U20/17s, Newport: 1 Rugby & Northampton AC 596.3; 2 Team Avon 576.7; 3 Birchfield Harriers 540; 4 Cardiff AAC 532.7; 5 Team Devon & Cornwall 457.3. Under 20 Men – 1oo (-6.0w): 3 Daniel Brooks 11.46; B (-4.5w): 3 Femi Akinbobola 12.14; 200 (-2.8w): 4 Brooks 23.17; B (-1.5w): 3 Tim Pike 24.56; 400: 2 Nathanael Mitchell 52.54; B: 3 Delano Stewart 56.75; 800: 1 Robert Howorth 2:00.72; B: 3 Sam Roberts 2:14.59; 1500: 1 Robert Howorth 4:25.04; B: 1 Rory Howorth 4:25.55; 110H (-2.3w): 3 Jake Burkey 17.22; 400H: 3 Joel Mattacks 65.66; 2000S/C: 4 Aidan Noble 7:10.17; LJ: 2 Burkey 6.79; B: 1 Marcin Olech 6.22; HJ: 1 Adam Brooks 2.01; B: 1 David Thomas 1.75; TJ: 2 Brooks 12.15; B: 1 Olech 11.85; SP: 5 Thomas 6.43; Discus: 4 Thomas 20.43; Jav: 2 Burkey 35.57; 4x100m relay: 3 Team Avon (Burkey, Stewart, Pike, Roberts) 45.55; 4x400m relay: 1 Team Avon (Robert Howorth, Akinbobola, Mitchell, Rory Howorth) 3:29.86. U20 women – 100 (-4.9w): 1 Tia Jackson 12.88; 200 (-2.4w): 1 Jackson 25.79; 400: 3 Annie Lewis 60.19; B: 2 Sarah Long 62.05; 800: 1 Anna Burt 2:12.06; 1500S/C: 1 Caitlin Wosika 5:20.20; 4x100m relay: 3 Team Avon (Long, Lewis, Webster, Enya Maylor) 52.94; 4x400m relay: 2 Team Avon (Burt, Lewis, Long, Wosika) 4:09.39; LJ: 2 Robyn Ellison 4.86; B: 1 Long 4.27; HJ: 2 Renee Jelf 1.55; TJ: 3 Lucy Durham 9.79; SP: 5 Wosika 4.77; Discus: 5 Gabriella Holt 18.03; Hammer: 2 Holt 40.60. Under 17 men – 100 (-6.0w): 5 Delano Williams DSQ; B (-3.4w) 2 Ben Game 12.57; 200 (-0.6w): 1 Femi Akinbobola 23.39; B (-2.2w): 2 Isaac Cory 24.05; 400: 2 Cory 52.83; B: 2 Will Scammell 54.95; 800: 1 Abdi Hasan 2:01.16; B: 2 Justin Davies 2:06.59; 1500: 2 Davies 4:21;85; B: 1 Greg Hayward 4:36.31; 3000: 4 James Harrod 9:51.65; 100H (-3.9w); 3 Scammell 15.61; B (-2.4w): 3 Liam Hillier 19.07; 400H: 3 Hillier 65.79; B: 1 James Casling 69.32; 1500S/C: 3 Casling 5:21.01; LJ: 4 Game 5.49; 4x100m relay: 2 Team Avon 46.64 (Game, Latham, Evans, Akinbobola); 4x400m relay: 2 Team Avon 3:42.09 (Scammell, Hillier, Cory, Hasan); HJ: 3 Rory Howorth 1.75; TJ: 4 Game 10.79; SP: 4 Rory Howorth 12.05; B: 1 Jonathan Evans 11.55; Discus: 3 Evans 27.28; B: 2 Toby Conibear 22.10; Hammer: 1 Conibear 57.94; B: 3 Jacob Dibble 15.96; Jav: 2 Dibble 38.56; B: 2 Keelan Tucker 35.57. U17 women – 100 (_4.8w): 2 Abi Peake 13.29; B (-4.8w): 4 Hannah Lewis 15.52; 200 (-1.3w): 1 Peake 25.97; B (-1.5w): 4 Megan Williams 29.31; 800: 2 Eleanor Webster 2:23.37; B: 1 India Ibbotson 2:28.25; 1500: 1 Claudia Spice 5:07.69; B: 1 Rhiannon Paton 5:18.86; 3000: 2 Rosie Hamilton-James 11:11,26; B: 1 Paton 11:56.79; 80H (-1.5w): 5 Sophie Martin 13.31; B (-1.5w): 2 Lewis 15.07; 300H: 1 Webster 49.07; B: 1 Maylor 49.27; 1500S/C: 1 Maylor 5:13.61; B: 1 Emily Whitaker 5:46.97; 4x100m relay: 2 Team Avon 52.52 (Lewis, Peake, Martin, Jackson); 4x300m relay: 3 Team Avon 3:02.50 (Webster, Ibbotson, Maylor, Whitaker); LJ: 2 Jackson 5.34; HJ:3 Martin 1.35; SP: 5 Natasha Statham 7.50; B: 4 Jodie Dale 6.35; Discus: 5 Dale 18.52; B: 3 Statham 16.18; Hammer: 4 Niamh Boulton 31.18; Jav: 1 Dale 35.47; B: 1 Statham 21.08.